This handsome guy is Harold. When Harold was found he was in poor shape. He was very underweight and sickly. With time, TLC and some much needed groceries he became a very handsome cat. There are no lasting signs of his rough beginning in life other than being a little shy. He does get along well with other cats. 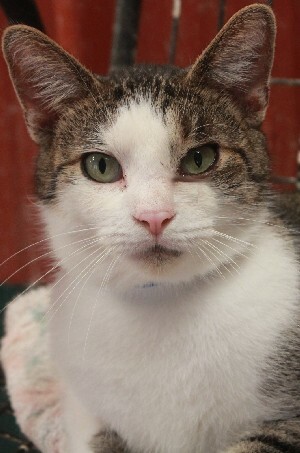 A quiet home with one or more cats would be a great place for him. He is a sweet boy that needs love and patience to let him know that life doesn't have to be hard...at least not anymore. Please consider making Harold a member of your family.